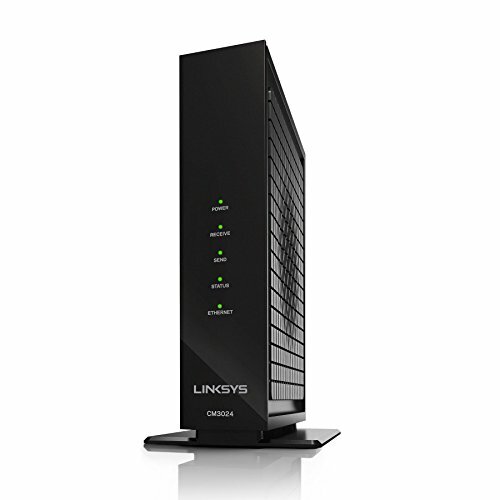 The Linksys CM3024 wired cable modem is a great choice for faster internet plans. With 34x8 channels, this Docsis 3.0 modem can reach speeds of 960mbps (recommended for plans up to 500mbps), is compatible with many of the top cable companies and comes at a affordable price. Note that this modem does have have emta/voice capabilities or built in wifi. We recommend a quality or mesh router for best WiFi speeds.